SA YES supports Title 1 Elementary students and community groups in San Antonio through educational outreach of free school supplies and classroom grants. Each year SA YES selects Title 1 Elementary schools in San Antonio and supplies every student with basic school supplies. 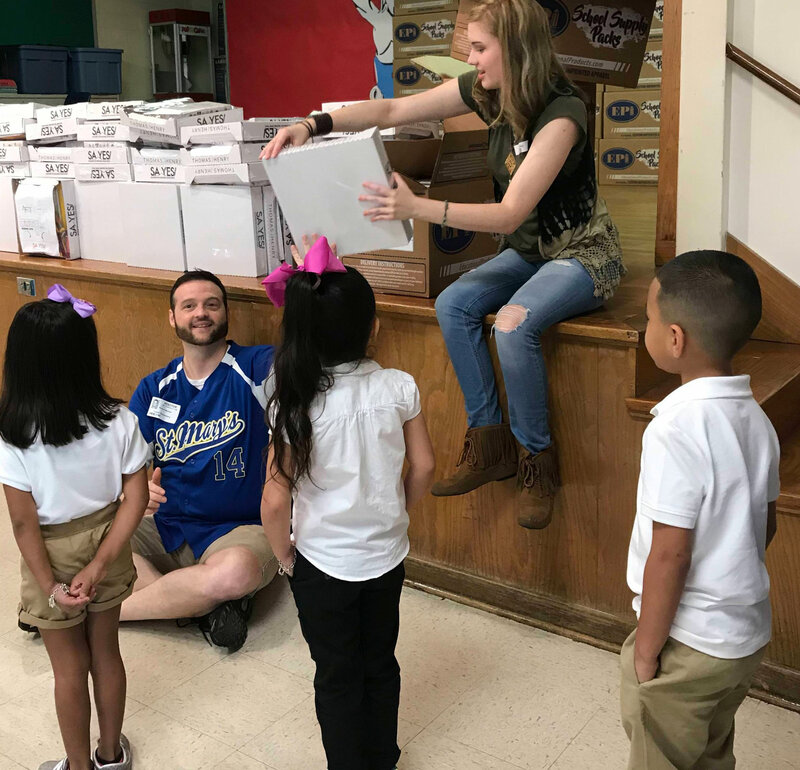 In 2018, SA YES personally distributed over 27,000 school supply kits to students in 40 schools across San Antonio. In 2016, SA YES surprised 4 teachers and fulfilled 4 classroom grant requests. These grants allowed the teachers to provide classroom resources and technology enhancements to ensure their students succeed. Volunteers helping to distribute school supplies to students in SAISD. 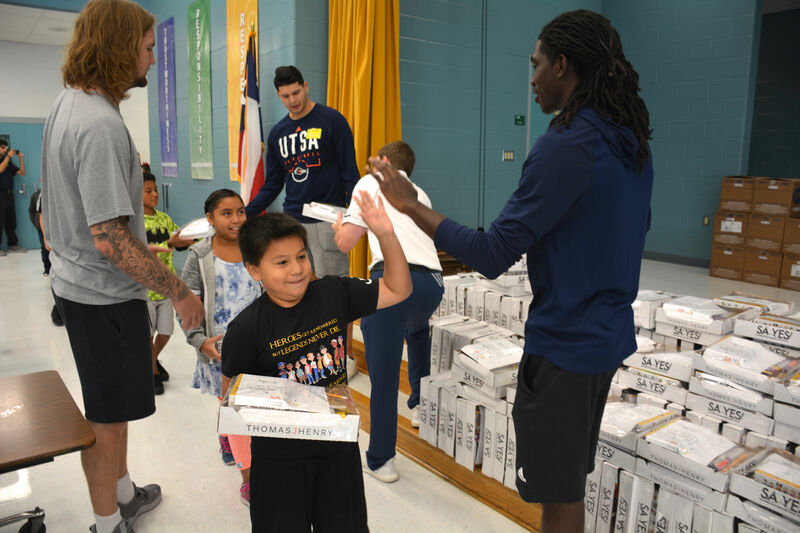 Players from the University of San Antonio's Men's Basketball team helped distribute school supplies at Bellaire Elementary during our 2018 Back to Basics Project.